This statistic represents the number of the electricity market in the United States in 2017, sorted by utility ownership type. That year, there approximately 830 municipal utilities. 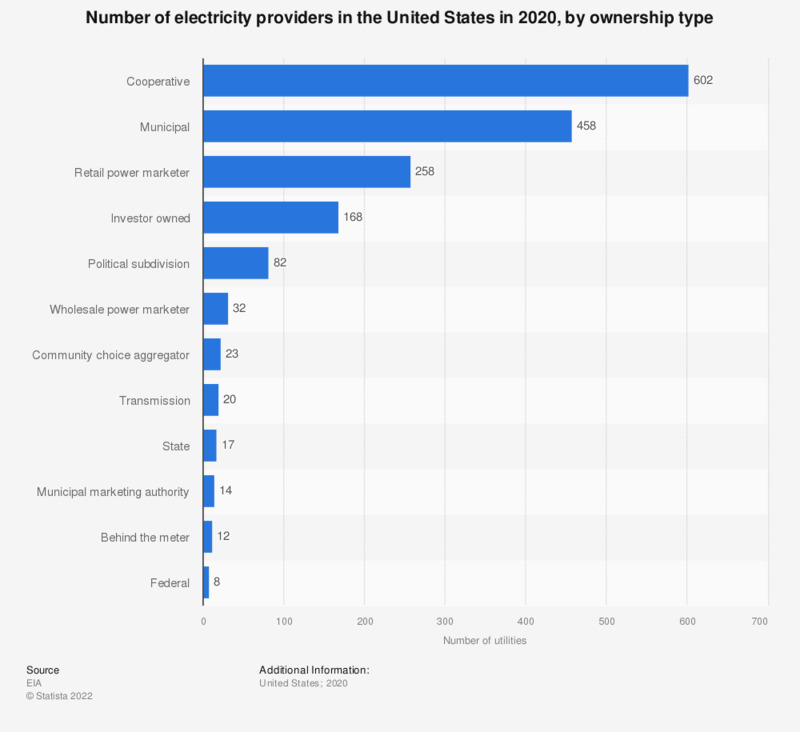 Although U.S. municipalities operate a high number of utilities with a small customer base, the majority of customers in the United States is served by large investor-owned utilities.